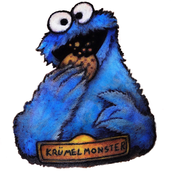 About me Das Krümel monster, always looking for mein Keks. Spent all my money on booze & strippers... the rest I wasted. No time today for the full game.. Running nuts on other issue. New Shack in the future... Thanks to last summers bitchn ride. Hit the surf today... Short for a big ride. I see a few newbes... Very few old salts. Spring head faked many... More later... For now just logging strokes. Short at 46.50..first batch. 25% batch size. As I prep for a West Texas hog hunt, in a 8000 acres oil field no less, I think I'll be safe as long as I avoid the ranch Scalia recently visited. Other than that, I think my shorts are safe. Don't drown in the foam. The tide is clear and I see daily rough waves of 8% taking out the paddlepussy playing in the surf. We remain short... Big boarding to the low 20s. cup is empty... caffeine is wearing off. If you lost money this month you need a new Tiki. Will Putin look like Chavez? Oil can change the world. There is a bottom.... It's just not here. Over the hills and through the woods. Can it really be this easy.... short answer, sometimes. Ok... Some old school logic. Don't be fooled by over shoot.... Oil is going down. Well in my prior post I was worried it would break 33up, but I'm glad I pushed my short cover up to 34, looks like we will hang here some.... I remain short... Old school, big money to sub $20. Let her ride. The ride to $17 USOIL. Investment capital exit on strength. As oil continues to 17. Trend plus micro channel.